A meeting is not a personal performance, but the result of a collective processing of individual experiences in order to formulate effective solutions for items on the agenda. 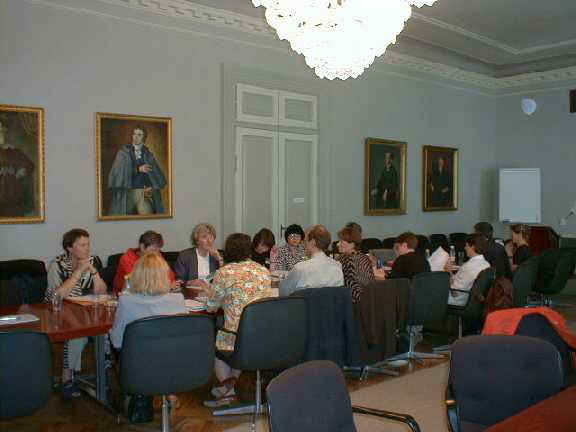 Therefore it is necessary that all participants have a reasonable knowledge of items for discussion and are capable of analysis on the basis of the information supplied by the organiser of the meeting. The organiser should provide documents in advance to allow pre-meeting reading and should communicate possible solutions to the issues to be discussed and see that all participants are able to submit their views and agree a solution. He/She should also ascertain that planned participants are those necessary for that meeting and try to agree a time which is convenient for all to allow the necessary discussion. In other words, the chair of the meeting should assist the group in its search of a solution, assist expression of his/her views and comparison of these views, and "sell" these to the group. The chairman/chairwoman is not strictly an expert of the issues in discussion, but an effective and assistant leader, capable of managing the situation, whose main tasks are giving voice to each opinion and maintaining a calm atmosphere, even if the opinions are clearly different. He/she should not maintain an authoritarian attitude, nor express his/her favour to one opinion: his/her interventions should be mainly concerned with clarification and summary. Have the documents been distributed? Do they require an update? Is he/she familiar with every issue? Has the opening address been prepared? Is the meeting agenda well defined? Will the time available enable all participants to express their views? Is the meeting room comfortable and equipped with the necessary facilities? Is it clear which points of the discussion require a summary and an immediate agreement for the written minutes? Participants at a good meeting should leave it with the feeling that they have learnt something and the conclusions reached are clear. This is why minutes at the time of the meeting are recommended. Minutes would record actions, deadlines and responsibilities agreed, and any divergent opinion if expressly required by a participant.